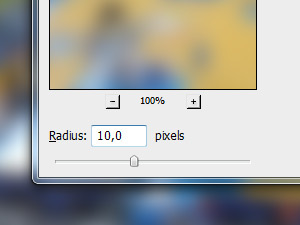 Choose a random blur Radius and click OK.
You have just blurred a photo. In the menu click Window and choose History. If you already have the History option enabled you don't need to. In the History window click the first step to bring your image to the original step (see picture). 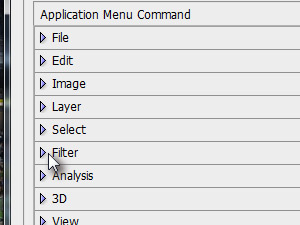 I will now show you how to set up a keyboard shortcut for the filter we applied in the the step 2. 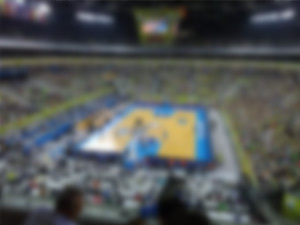 Click the empty shortcut field then press Ctrl and any other key you want. 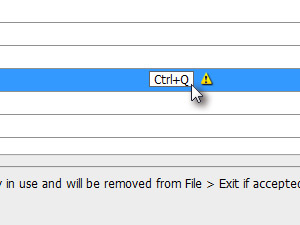 I chose Ctrl + Q. 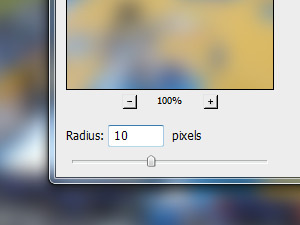 If you chose an already existing shortcut, like I did Photoshop will warn you about it. If not simply continue. If you still want to use this shortcut click Accept and Go To Conflict otherwise click Undo Changes and choose key combination. 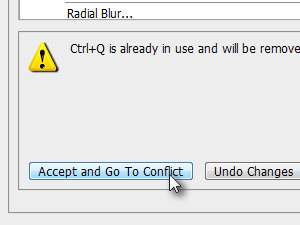 If you chose the Accept and Go To Conflict option you now need to setup a new non existing keyboard combination for the shortcut you "stole" the keyboard combination from. Now press your new shortcut keyboard combination and the filter or whatever you have chosen should have opened. 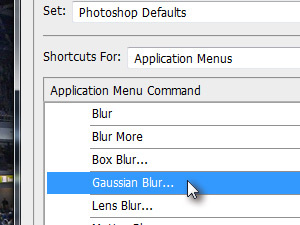 Gaussian Blur in my case. 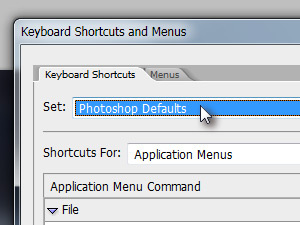 For the Set choose Photoshop Defaults, if you want your old shortcuts back.